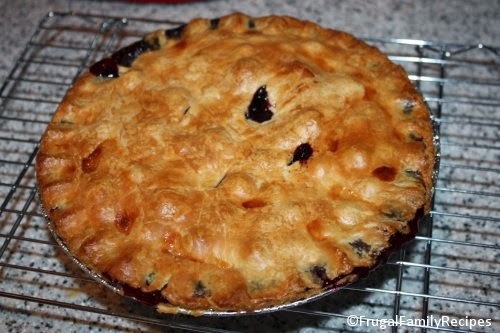 If you've never made a homemade blueberry pie you must give it a try. It is so very good and your family will love it. If you usually make pies with those expensive cans of blueberry goop (pie filling), using fresh fruit isn't as difficult as you might think. Try this recipe when blueberries are in season, or on sale, or any time of the year. Especially during the holidays! 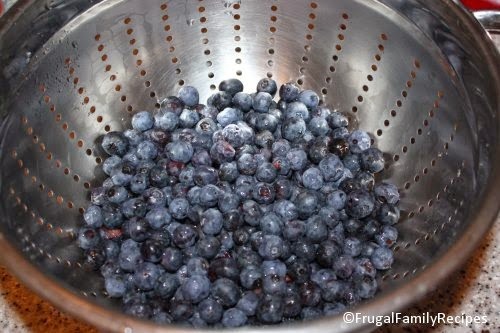 Rinse and drain fresh blueberries, remove any stems. If using frozen blueberries, thaw slightly but do NOT rinse. In a large bowl, add sugar, tapioca, lemon juice and salt to blueberries, stirring gently. 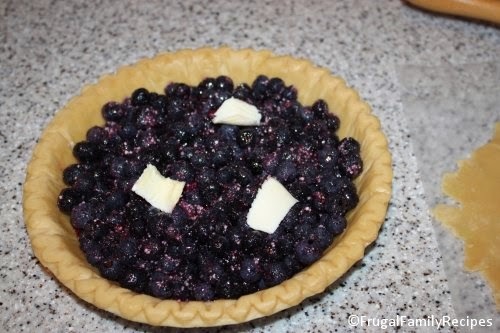 Gently stir together cooked and uncooked berries and place in thawed pie crust, top with a few pats of butter. 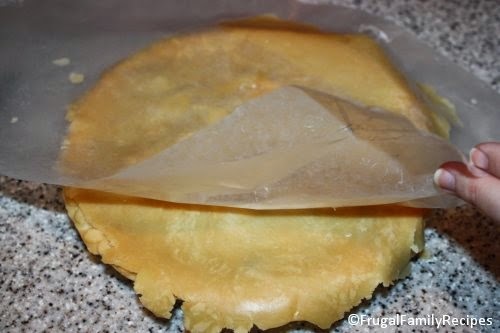 Place second crust on top of pie and vent with several cuts. You can also cut out 3 or 4 small shapes like hearts or diamonds. Or, cut second crust into 1-inch wide strips and weave back and forth for lattice design, as in the previous pie I made (photo at the top). Brush top of crust with a little milk or egg white. Loosely cover edges of pie with strip of foil, then place on baking sheet in center of oven. Bake at 400 degrees for 45-50 minutes. Cool pie on wire rack and store leftovers in fridge; if there are any leftovers. 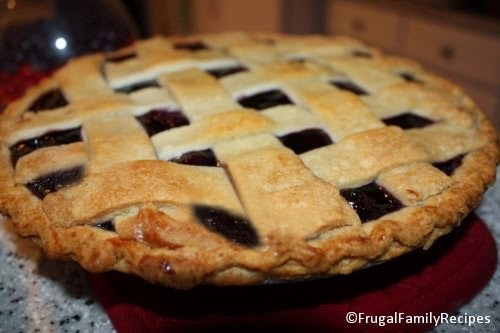 Note: I definitely prefer the lattice crust design for blueberry pies, don't you agree? They do take a bit longer to make, but they are so pretty. Whichever crust style you choose, your homemade blueberry pie will be DELICIOUS!!! What's your favorite holiday pie?